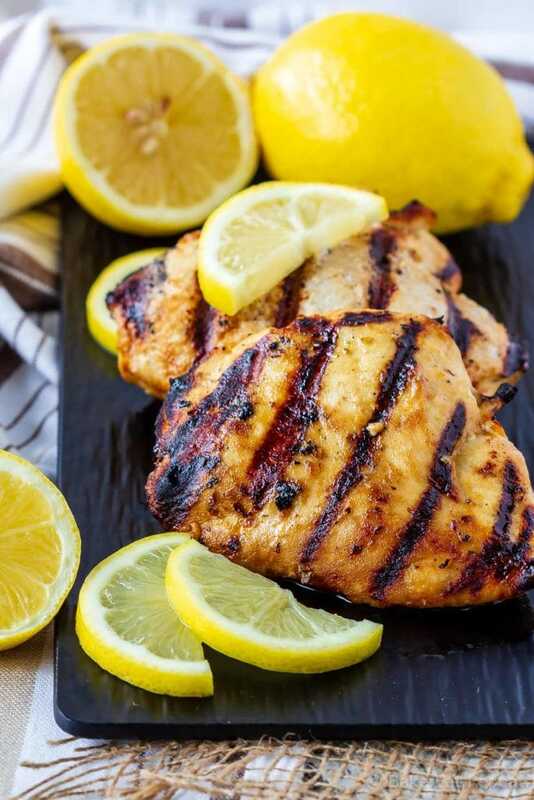 This lemon garlic chicken marinade is easy to mix up and adds so much flavour to your chicken. Marinate and then grill or bake, or freeze for later! 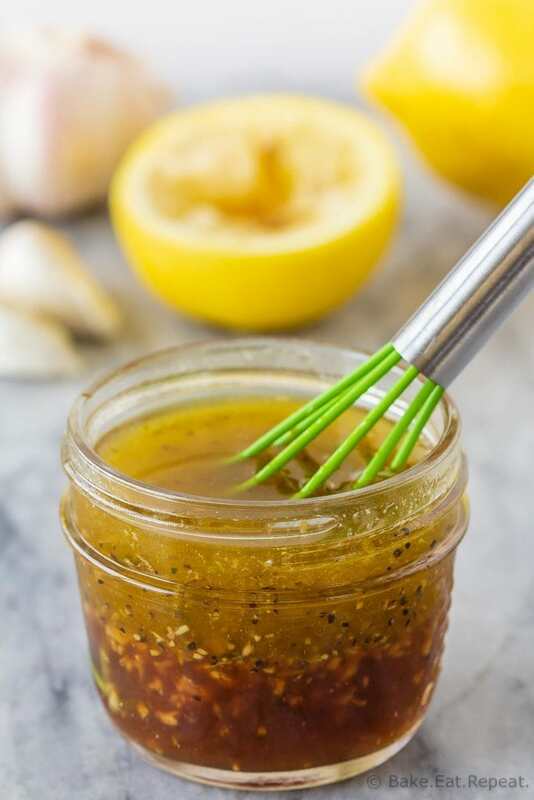 Using recipes like this lemon garlic chicken marinade has made my life so much easier this summer. I don’t about you, but I get a little bit sick of eating plain old grilled chicken with BBQ sauce for dinner. Easy yes….but a tad boring after a little bit. My husband would totally disagree with this statement. 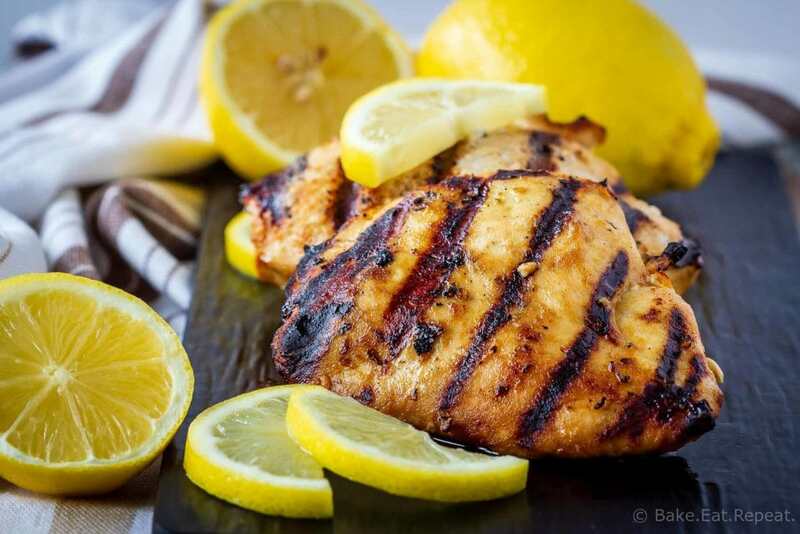 He likes nothing better then grilled chicken with BBQ sauce – simple and delicious. 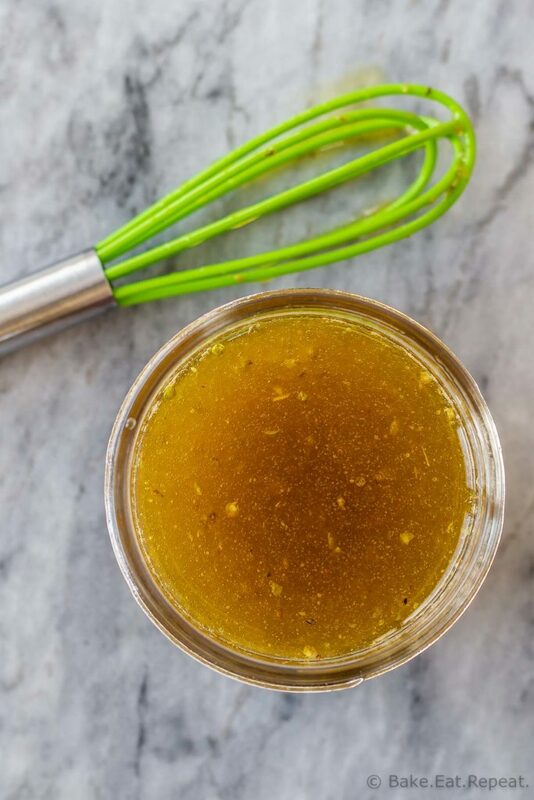 This lemon garlic chicken marinade is fantastic. It’s easy to mix up and adds so much flavour to the chicken. This chicken is fantastic grilled with fruit salsa and rice, or chopped up in a salad like this carrot, apple and cucumber salad, or just simply grilled with rice or potatoes and some steamed vegetables. 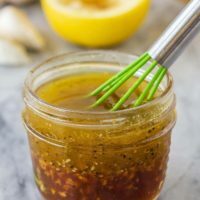 You can use either chicken breasts or chicken thighs with this lemon garlic chicken marinade, both are delicious. Place the chicken breasts in a large ziplock bag. In a small bowl, whisk together the olive oil, lemon juice, soy sauce, garlic, oregano, salt, and pepper.